Former Team Sky doctor Geert Leinders has been banned for life for multiple doping violations, the United States Anti-Doping Agency has announced. 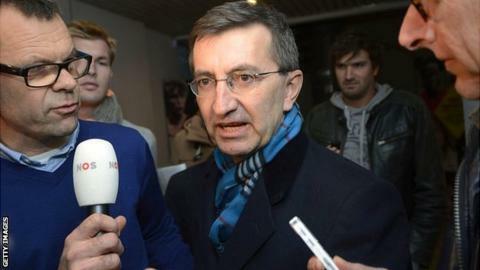 The Belgian was guilty of violations carried out when he worked for Rabobank cycling team between 1996 and 2009. He was later a freelance consultant for Team Sky in 2011 and 2012, but team principal Sir Dave Brailsford has since said the appointment was a mistake. Team Sky made a public commitment to a zero tolerance policy to anti-doping. USADA said on Thursday that during his time at Rabobank, Leinders "possessed, trafficked, and administered banned performance-enhancing substances without any legitimate medical need". Leinders was not part of Team Sky's staff when Sir Bradley Wiggins' won the 2012 Tour de France, and Sky ended their involvement with Leinders in October 2012. In the same month, Brailsford said: "We set out with a zero tolerance policy, so we said that anyone who has had a doping conviction from the past or proved to have been involved in doping hasn't got a place on Team Sky. That is our policy."